Kevin Edgar, professor in the Department of Sustainable Biomaterials and associate dean of Virginia Tech's Graduate School, has been conducting research on the design of biodegradable, sustainably based polymers that can help enhance the abilities of orally administered drugs to reach the bloodstream. Edgar's research, in a joint project with Lynne Taylor, professor of industrial and physical pharmacy at Purdue University, focuses on using polymers designed from cellulose, the structural component of plants. The polymers work to prevent the crystallization of a drug's molecules when it is in pill form and during transport through the gastrointestinal (GI) tract so that medication can effectively reach the bloodstream. "The method that we use requires a specific mix of polymer and drug that ensures that the drug is so perfectly dispersed in the polymer that no two molecules of drug are next to each other," said Edgar, who is also affiliated with Virginia Tech's Macromolecules Innovation Institute. "Then the polymer has to be designed to release the drug within the GI tract, which is mostly water." The applications of Edgar's research are wide-reaching. Many current medications have solubility issues; to ensure that enough medication reaches the bloodstream, patients are prescribed higher doses. The excess drugs that are not absorbed from a patient's GI tract have the potential to cause toxic side effects and carry the risk of negatively impacting water treatment systems when they pass through the body. Drugs currently in development that may cause toxicity due to these solubility issues could be used successfully with assistance from natural polymers, bringing powerful new drugs to patients. Li Shuai, assistant professor in the Department of Sustainable Biomaterials, has been working to develop a new chemical process to replace current petroleum-reliant resins with a renewable material made from lignin, an organic polymer found in trees. Lignin is a waste product of the paper pulping process and is typically burned as a low-value fuel. "Cellulose is the fiber that maintains the cell wall," Shuai said. "If you just have cellulose fiber, a plant cannot stand very well. It's like steel-reinforced concrete: you need both concrete and steel to maintain structure. Lignin polymer is a kind of natural glue or adhesive that holds the cellulose fibers together." "The structure of lignin is very complicated; it's very hard to utilize," Shuai noted. 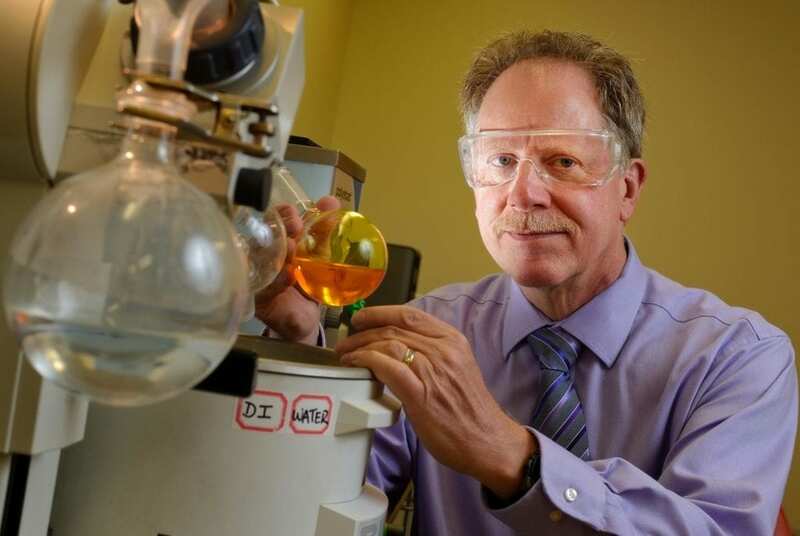 "I'm trying to break down the polymer into monomers, into single, small molecules, so that we can use them to make new polymers that will maintain their adhesive properties." The NSF grant for Shuai's research is $300,000 over three years.